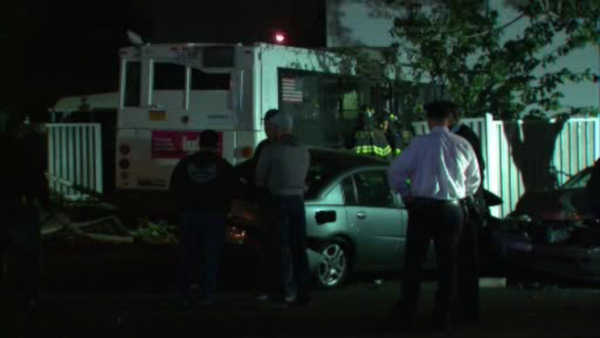 JAMAICA (WABC) -- At least 12 people were injured, including the bus driver after an MTA bus smashed into several cars and the front of a home in Queens on Saturday night. The accident happened on South Conduit Avenue and Guy R. Brewer Blvd. in Jamaica around 9:45 p.m. The MTA says the Q113 bus got into an accident with a car moving in the opposite direction. The bus then continued to move forward, striking two parked cars, and then the house. The injuries are said to be minor, and the victims were taken to local hospitals for evaluation.